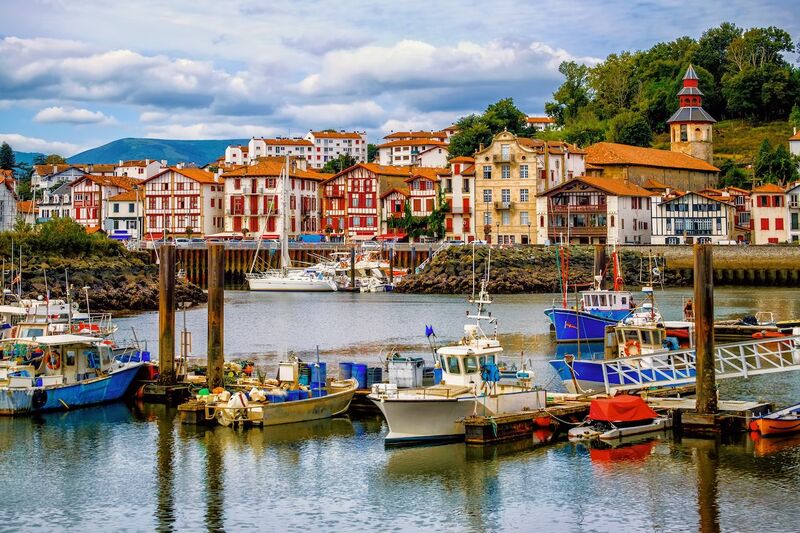 While the Basque Country of Spain — with the bulls of Pamplona and the pintxo bars of San Sebastian — gets most of the attention, the oft-overlooked Basque Country of France, or Pays Basque as it’s known, has charms of its own. Beyond its rugged Atlantic coastline, postcard-pretty towns, and fascinating traditions, this region has its own unique scenery, food, and culture. 1. Dress up for Fêtes de Bayonne. This annual event started in 1932 when a group of friends from Bayonne went to the Running of the Bulls in Pamplona and decided to start a similar event in their hometown. 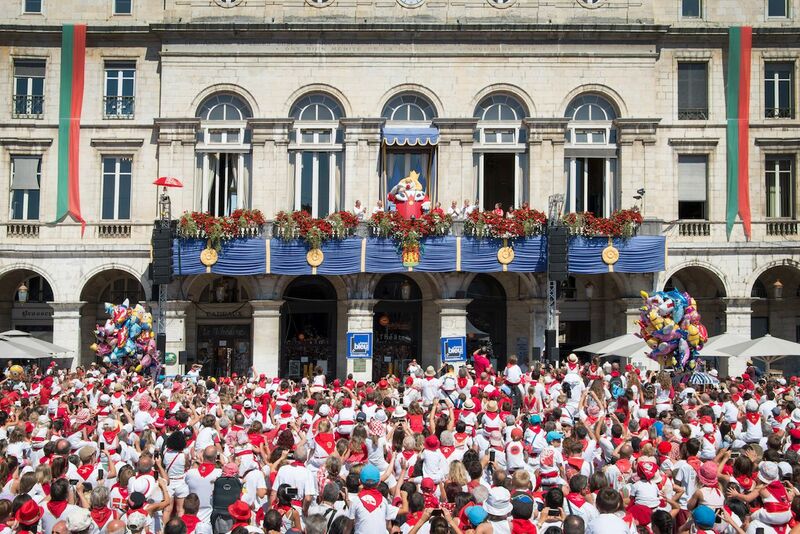 Eighty-six years later, Fêtes de Bayonne is now France’s largest festival with thousands of festayres, or partygoers, dressed in red and white like their Pamplonan inspiration, descending on the town. The festival starts on the Wednesday before the first Sunday of August with the keys to the town being thrown from the balcony of the town hall to residents below. From then on, the town is overtaken by five days and nights of partying, as well as the traditional courses de vaches, when festayres can volunteer to enter into an arena with a bull and dodge its charges. Fortunately, less dangerous competitions take place throughout the festival, as well. These include a foot race from Biarritz to Bayonne, pelote Basque tournaments, and even the Omelette aux Piments World Championships, during which contestants compete to be the best in the world at using the region’s signature spice in a classic French dish. 2. Enjoy a game of pelote Basque. Entering a competitive pelote Basque tournament might be a bit ambitious for first-timers, but that doesn’t mean you can’t enjoy this fast-moving sport as a spectator. Just don’t expect to understand it immediately. 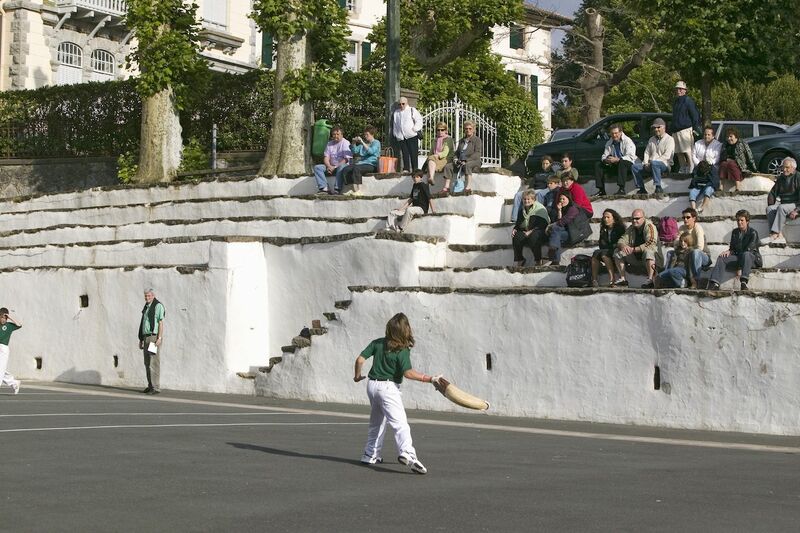 Pelote Basque dates back to the 17th century, and over the past 400 years, the towns and villages of the province have developed approximately 22 different variations of the game. There are, however, several similarities to watch out for. In terms of the game itself, most versions of pelote Basque involve two teams hitting a ball, or pelote, against a wall using a woven basket tied to their wrists so that it lands back inside the court. Meanwhile, aesthetically, the clash of the traditional pelote Basque players — each team wearing white uniform pants with a single-colored shirt — on the province’s distinctive outdoor courts make it easy to spot when a game is being played. 3. Surf waves at sunrise. Pelote Basque and bull-running aren’t the only sports to have put the French Basque Country on the map. Cornered by the raging swell of the Atlantic Ocean and the snow-dusted mountains of the Pyrenees, geographically, the province was practically made for outdoor lovers. Surfers have been coming here since the 1950s when Californian tourists first brought surfing to Biarritz. The town of Anglet has 11 beaches alone, earning it the nickname of “Little California,” and kiteboarders also find plenty of spots to whiz across the sea. Biarritz is now known as Europe’s historic surfing capital and the sight of Quicksilver’s European headquarters. A few miles beyond Biarritz, technically north of the Cotes Basque, or Basque Coast, are the beach breaks of Hossegor. Hossegor’s endless beach attracts surfers from around the world, and its massive dunes serve as excellent viewpoints to look down on the incredible surf scene. 4. Climb mountains at sunset. Up in the mountains, Saint-Jean-Pied-de-Port in the Pyrenees is the starting point for the most popular route of the Camino de Santiago pilgrimage path. Hikers and mountain bikers relish the mountains that mark the western end of the French Basque Country, but the majority come in summer. Outside the peak months of July and August, you can find peaceful mountain trails across the Pays Basque. 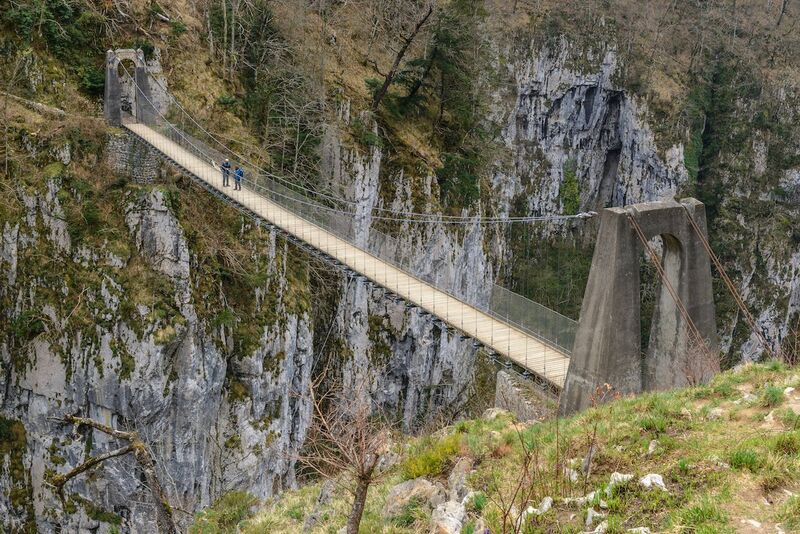 Even in spectacular hiking spots such as the Gorges d’Holzarté, it’s rare to meet another walker — which, after one look at the rope bridge across the canyon, you’ll probably agree is a good thing. 5. Walk from the lighthouse to the Old Port in Biarritz. 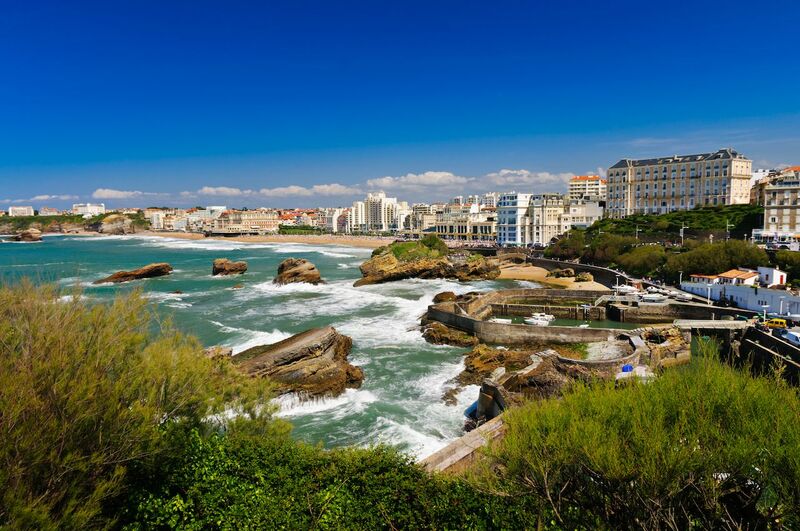 Less taxing than hiking the Pyrenees, this walk along the iconic coastline of Biarritz is nonetheless just as scenic. In 1843, Victor Hugo wrote of Biarritz, “I have not met in the world any place more pleasant and perfect,” and it’s easy to see why. Starting at the lighthouse, which divides the sandy beaches of Landes from the rocky Basque country coast, the walk encompasses rugged cliff tops; the historic promenade; and the Rocher de la Vierge, a rock formation where a statue of the Virgin Mary overlooks panoramic views of the town. Beyond taking in the sights, the route offers plenty to do. The Miremont Patisserie is just as known for its view as it is for its pastries; the Port de Pêcheurs is where you’ll find the town’s best and freshest seafood; and after the walk, at high tide, you can cool off by diving into the ocean at the Plage du Port Vieux. 6. Indulge in the provincial flavor of piment d’espelette. 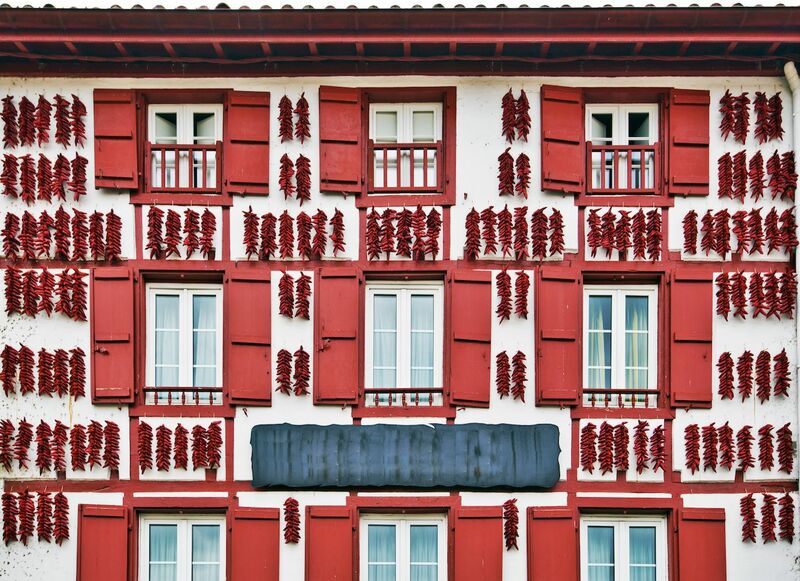 Whether it’s in the local cuisine or the festoons that hang from every available space outside to dry, you can’t go far in the French Basque Country without coming across the province’s distinctive espelette pepper. Introduced during the 16th century, espelette chilli peppers were originally used medicinally and over time have become so popular in the local cuisine that they have their own festival. Hosted by the Confrérie du piment d’Espelette, or Brotherhood of the Espelette Pepper, the Fête du Piment à Espelette takes place every October as a way of celebrating local producers and the gastronomic culture of the region. It includes the indoctrination of a dozen local experts in cooking, media, entertainment, and sport into the brotherhood, as well as a religious mass during which the peppers are blessed. 7. Go back in time in Saint-Jean-de-Luz. Just a few miles north of the Spanish border sits Saint-Jean-de-Luz, a small seaside town that’s played a big role in French history. It was here, in the Saint-Jean-Baptiste Church, that Louis XIV of France married María Teresa of Spain in 1660, putting an end to a bitter war. The main door to the church was then sealed off, representing a close to the troubles between the two nations. 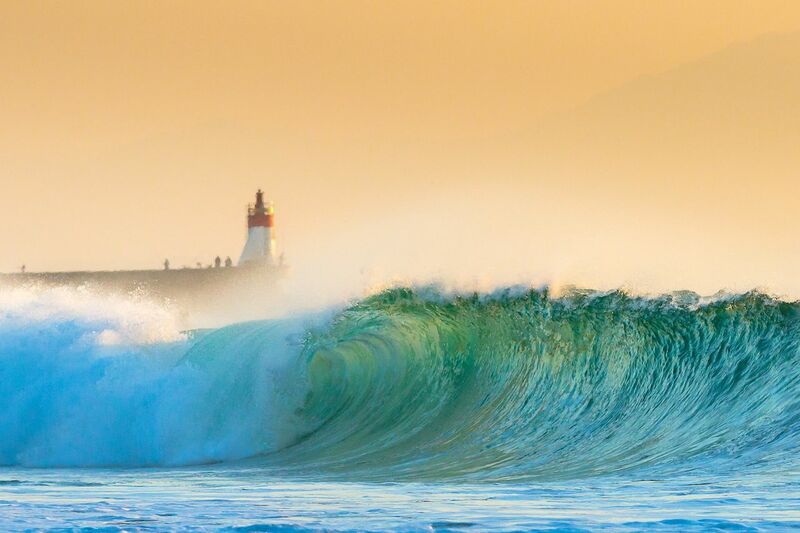 Today, Saint-Jean-de-Luz is more likely to transport visitors back to its days as a thriving fishing town than its days as a political epicentre. La Nuit de la Sardine, or Night of the Sardine, still takes place twice throughout the summer while in July the Fête du Thon, or Festival of Tuna, sees tuna crowned the “King of Fish” — with restaurants serving nothing but griddled hot tuna steaks and music and dancing filling the streets. It’s an appreciation of food and culture that could only take place in the French Basque Country. Toulouse is France’s next big hotspot. Here’s why.